Fifteen years after Danny O’Donoghue and Mark Sheehan first made my top 40 in MyTown with a minor hit, “Now That I Found You”, they’ve been all over my chart with Glen Power since early 2009 as this act. They’ve scored with ten top ten singles in a row. On My Chart: The trio’s second single off their album debuted at #9 Next In Line for the week of October 19 last year, just a few weeks after “Superheroes” fell out of #1. Two weeks later, it was in the top 40, hitting the top ten by the chart dated December 14, its seventh week on. It didn’t go to #1 until the week of February 15, its 16th (!) week on. By late May, it was “Goodbye” to this one. On The Charts: “Good” stalled before it could hit the top 20 on the Hot AC chart, marking their lowest-charting top 40 single at the format. It fared better internationally, hitting the top ten in Belgium and Hungary. It’s up to 15.8 million streams at Spotify. They were “Hungry” for national success when they first hit the top five on the Hot 100 in 1983, and in the three decades since the boys broke the U.S. market, they’ve had plenty of amazing songs. Even though my list began in 1999, they’ve totaled three #1 hits. On My Chart: “Pressure” bypassed the two sections underneath my survey and debuted at #40 during the week of June 21. Five weeks later, it was in the top ten, and then quickly rose to the top in its tenth week (August 23) on the chart, staying for five weeks. That marks the second-longest run at #1 during the chart year. It’s currently falling on my personal chart, now in its 27th week on. On The Charts: The odds were against it, but “Pressure” ended up reaching #33 on the Hot AC listing, which was a nice surprise given the band’s four-year absence on the charts and the ageism of radio. It just topped the three million stream mark at Spotify. If you’re “thinking” that this single will go down as one of the best torch songs of the decade, you may be right. The x era launched four songs into my top ten, making it Sheeran’s most successful. He recently took an extended break from his social media pages. On My Chart: This entered at #8 Next In Line on the chart dated September 28 of last year, when “Don’t” was still in my weekly top five. It went top 40 on October 19 and, much like in the U.K., took its time climbing my chart until the week of January 18, the list when it hit #1. It was in its 14th week overall. Sheeran’s 31-week run on my survey surpasses “The A Team” and its total of 29. On The Charts: Beginning in the fall of 2014, this slow burner became an international smash, reaching the top ten in dozens of countries, including a #2 Hot 100 peak and #1 peaks on three radio charts. It’s been streamed on Spotify 555 million times. Huge. Tomorrow, we go higher into the top five, so check back then! You can always follow and listen to the Top 100 reveal on Spotify. A diva was at a crossroads in her career. Diana Ross was struggling on the Hot 100 after scoring two number-one singles in 1976: the “Theme from Mahogany (Do You Know Where You’re Going To)” and “Love Hangover”. While a dive back into disco from 1979’s The Boss gave her a minor hit of the title track (and #1 Dance entry), she was failing to fully connect with an audience nationally. That was, until she picked a pair of hot producers to take her back to the top of the pops and extend her chart life into the 80’s. The guys she chose were Bernard Edwards and Nile Rodgers of the top-selling group Chic. They charted with a string of hits, including the #1’s “Le Freak” and “Good Times”. During the same time, the production duo reignited the career of Sister Sledge, the team behind 1979’s “He’s The Greatest Dancer” (#9) and “We Are Family” (#2). The “death” of disco occurred several months later, affecting a number of acts and their releases, but that didn’t stop Ross from working with two on her next album, which would simply be titled Diana. After working with them for several months, she disapproved of how the album sounded, and on the advice of a friend, went back into the studio with Motown’s Russ Terrana, who had been engineering with the label since the mid-60’s, to re-edit and remix the album. Together, they removed a lot of longer instrumental extensions and sped up the tempo on several tracks; only one song was released in its original form when the album came out. (These initial versions would appear on a re-release in 2003.) This was all done behind the backs of Edwards and Rodgers, who were understandably hurt by the news, even threatening to remove their names from the credits. However, Ross and her label committed to issuing the new mix, as it was more commercial. All the extra work seemed to pay off. On this date back in 1980, “Upside Down” debuted at #82 on the Hot 100, which wasn’t exactly a grand entry given the nature of the release. It was fifth-highest ranking new song on the countdown, behind “Lookin’ For Love” by Johnny Lee (#67, peak #5), “Save Me” by Dave Mason (and uncredited duet partner Michael Jackson) (#75, peak #71), “You’re The Only Woman” by Ambrosia (#76, peak #13) and “It Hurts Too Much” by Eric Carmen (#77, peak #75). Although the song kept up a steady pace, moving to #71 the next week, then to #59, then to #49, it didn’t appear that it was going to be the biggest of singles. Then, on the chart dated August 9, 1980, “Upside” made a spectacular leap from 49-10, becoming the first song to soar from outside the top 40 into the top ten since “Theme From Shaft” by Isaac Hayes, which jumped 50-9 in its second week on the October 23, 1971 chart. A month later, Ross and her record rose to #1, lasting in the top spot for five weeks and in the top 40 for 17, a longer run for the time. It ended the year at #18 on the countdown of 1980’s top singles. 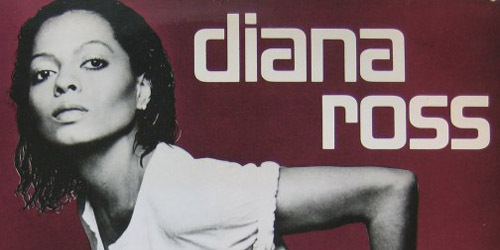 Diana ended up being Ross’s highest-charting solo album on the Billboard 200, going to #2 and reaching Platinum status. Further singles “I’m Coming Out” and “It’s My Turn” (from the film of the same name, not on the album) would also reach #5 and #9, respectively, becoming her first album to produce three top ten singles. After the enormous success of it, she would go onto have a huge #1 with Lionel Richie, “Endless Love”, spending nine weeks at the top in the summer and fall of 1981. She then signed a deal with RCA, leaving her longtime home, Motown. Three more of her solo songs would go top ten through the fall of 1982, and her last in 1985, the #10 “Missing You”, would be her last top 40 single. A handful of additional tracks made the upper rungs of the R&B chart through the early 90’s and she was still just as popular in Europe until the end of the decade. She’s still performing in concert today. As for Edwards and Rodgers, the results were mixed. Their band Chic disbanded in 1983 when their high sales and charting positions abruptly cut off, though they did reunite for a new album in 1992 and are currently back together. Edwards took on solo projects in the mid-to-late 80’s from ABC, Robert Palmer and Rod Stewart, though he passed away in 1996. Rodgers also went onto be an acclaimed solo producer in the 80’s, working his magic on hits by David Bowie, Duran Duran and Madonna, among others. He’s back on the charts today as a co-writer on Daft Punk‘s international smash with Pharrell Williams, “Get Lucky”, and is involved on two other tracks on their album Random Access Memories. For more flashbacks on your favorite acts, follow the blog below or find me on Twitter: @AdamFSoybel. With a little “Luck”, it’ll be huge. Download “Get Lucky” on iTunes. You’ve heard a taste of it in a few commercials; now, the full thing is out. It’s the highly anticipated single by dance and electronic group Daft Punk, “Get Lucky”, featuring a guest vocal from Pharrell Williams. 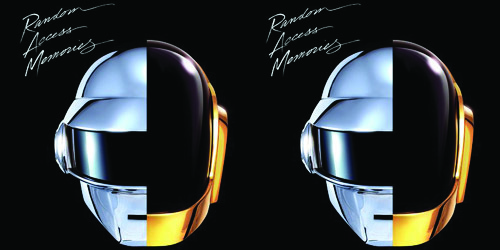 It’s the first release from their new album, Random Access Memories, out May 21 on Columbia Records. The thirteen-track effort features other collaborations with producers Giorgio Moroder and Nile Rodgers, as well as other musicians. You’ll be seeing a lot more information about it coming out soon. Listen to the radio edit version of “Get Lucky” here.